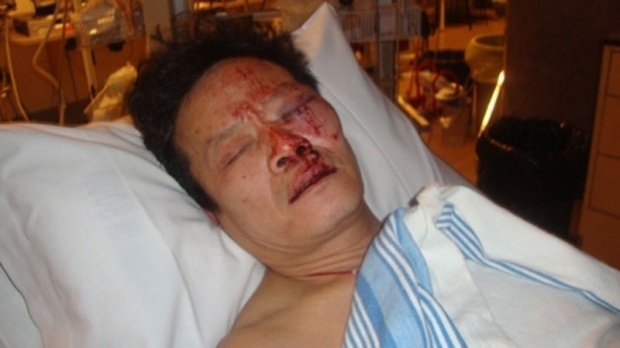 In our story Vancouver Police Beat Yao Wei Wu After DV Call from January 2010, we reported on the disturbing case of police abuse against Vancouver resident Yao Wei Wu who was assaulted without provocation by two plainclothes Vancouver Police Department detectives, Nicholas Florkow and Bryan London, as they responded to a domestic violence call from another living unit at the same address. They not only failed to determine if there was any actual domestic violence before acting with severe physical force, they didn’t even bother to determine if they even had the correct person at the door. When Yao Wei Wu answered the door of his home, the cops shoved the door in, hauled him outside, and proceeded to beat him in the face and back in front of his wife before handcuffing and arresting him. Only after all of this did they bother to ask his name and found out they had just assaulted a person who had absolutely nothing to do with the domestic violence call to which they were responding. Here’s a story that illustrates just how out of control and violent police and law enforcement are regarding domestic violence calls. Vancouver police were called by a woman claiming she was being beaten by her husband and she was afraid for her child. Plainclothes cops with guns showed up at the address and knocked on the door. A man answered the door and opened it for the police. The cops say they identified themselves as Vancouver police, but the man says he complied not because he knew they were police but because they had guns. The cops then kicked in the open door, grabbed the man and pulled him out of the home, and proceeded to beat him bloody. They smashed in the bones around one of his eyes, badly bruised his back, and left him with abrasions and bruises all over his face, torso, and knees. The cops then arrested and handcuffed him.